Loved the king size bed with quality linen and lots of comfy pillows. The unit was huge, modern bright and airy. The aircon was easy to use and kept the place at a warm consistent temperature. Had all the cooking facilities needed and in good condition. Loved the complimentary makeup remover pads, cotton buds and shampoo/soap. Location was perfect! Loved everything! Bed was comfortable and liked bathroom amenities. Washer and dryer a nice touch. Location. Decoration. Parking (we payed 35us the first night and then realized that there were two courtesy parking cards in the room, would have been nice to know before). The room was nicely decorated and had everything we needed. The communication was great, very easy and well explained. The apartments was wonderful, clean, and with everything we needed. Excellent location. We fall in love with this City and the apartment. Lovely House in a great spot with bars close by. The hosts were super friendly and helpful. The location. Absolutely nothing else, it was a stressful unpleasant experience that I will never repeat. I am still awaiting the 'management call' due yesterday. The space was large. It was great to have a common area because we were traveling with family. They thought of everything and even had little oil packets in the kitchen that came in handy when we forgot cooking spray. Lock in a great price for Guild Lavaca St - rated 9.3 by recent guests. One of our top picks in Austin – and a guest favourite. 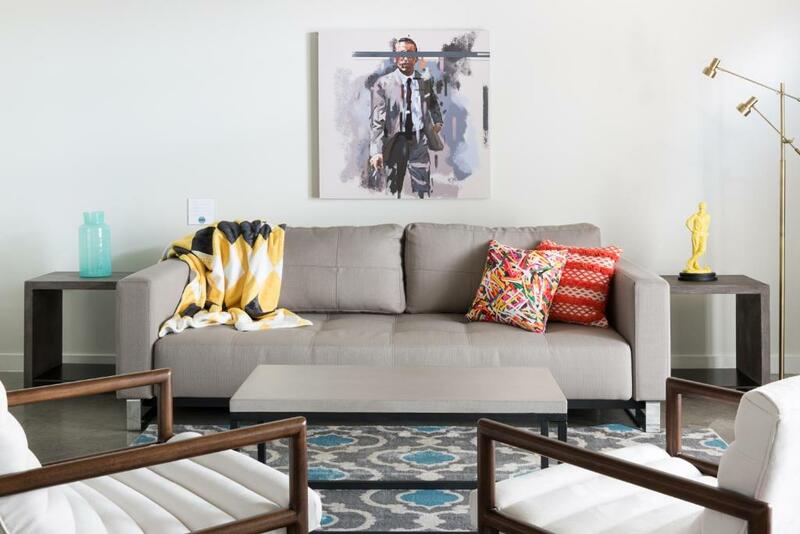 Offering an outdoor swimming pool and a fitness centre, Guild Lavaca St is an aparthotel set in the heart of Austin, not far from Austin Convention Center. Each unit at the aparthotel is fitted with air conditioning, private bathroom and a kitchen including a dishwasher, oven and a microwave. 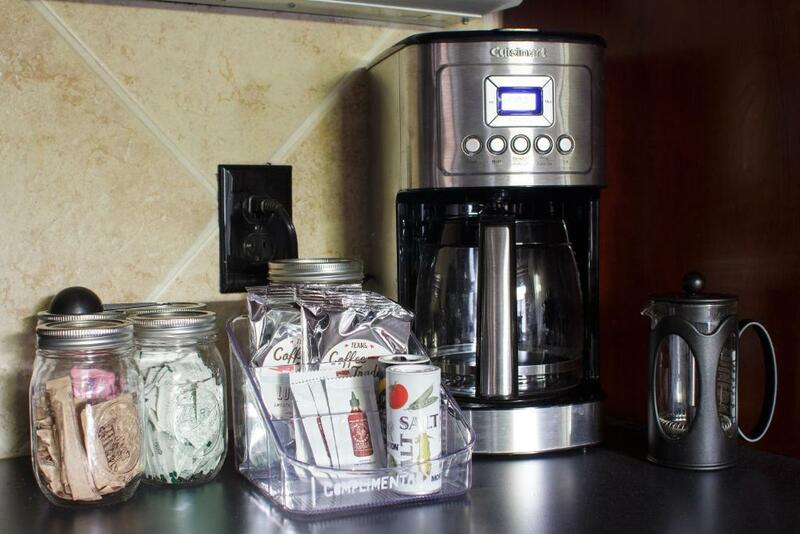 A toaster, a fridge and stovetop are also provided, as well as a smart espresso/cappuccino maker. Guild Lavaca St offers a terrace. Capitol Building is a 12-minute walk from the accommodation, while Frank Erwin Center - University of Texas is 1.2 miles from the property. 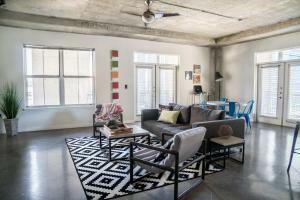 The nearest airport is Austin-Bergstrom International Airport, 6.2 miles from the property. Guild Lavaca St has been welcoming Booking.com guests since 3 Nov 2017. When would you like to stay at Guild Lavaca St? This apartment has a full kitchen, balcony and sofa bed. A flat-screen TV with internet connectivity, washing machine with tumble dryer and ironing facilities are included. Linen, towels and toiletries are included. In the kitchen you will find a refrigerator, microwave and stovetop with oven. 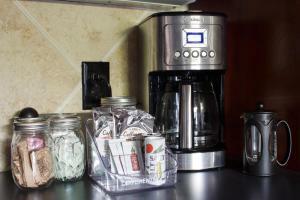 A dishwasher, toaster and coffee maker are also available. Kitchenware is included. Private parking is possible on site (reservation is needed) and costs USD 20 per day. 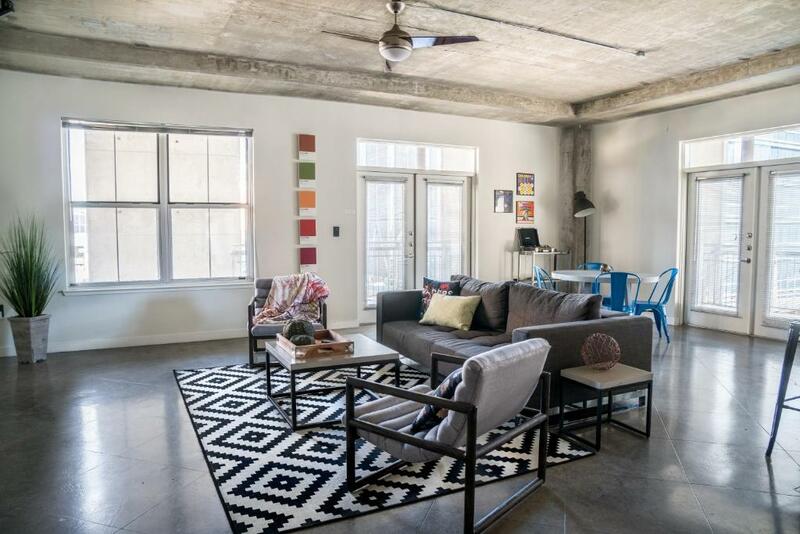 Guild Lavaca Street is a collection of stylish lofts within a brand new upscale residential building in charismatic Downtown Austin. 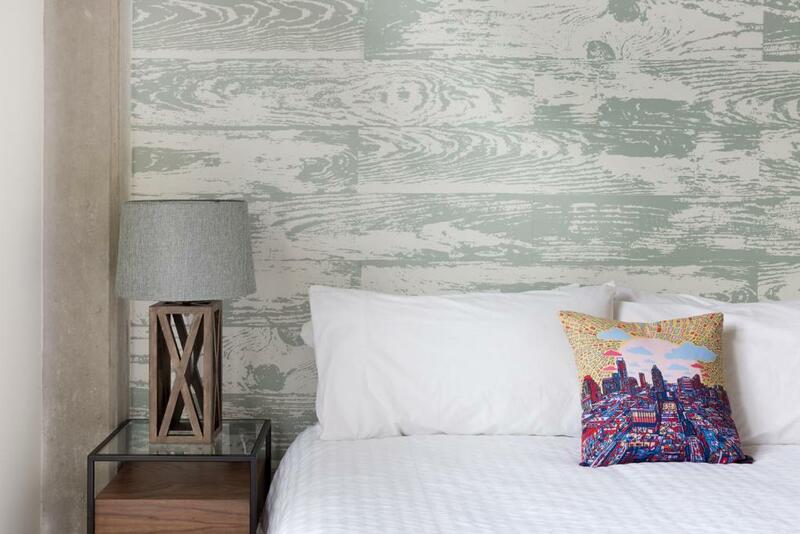 Situated in the heart of Downtown Austin’s hip dining & nightlife district, the rooms were furnished by local designers and feature Austin-crafted Art, furniture, coffee, and vinyl. 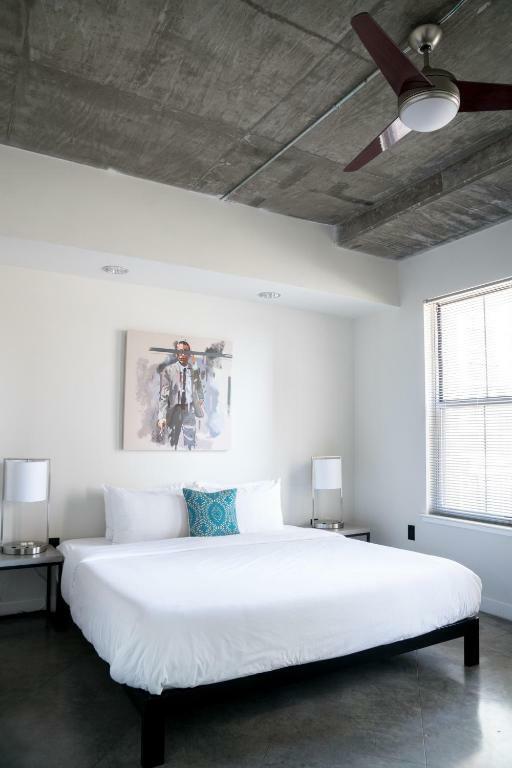 Our guests enjoy the charm of the 2nd street shopping district while being a short walk from the Capitol, the Hike & Bike trail, and innumerable restaurant & nightlife options. 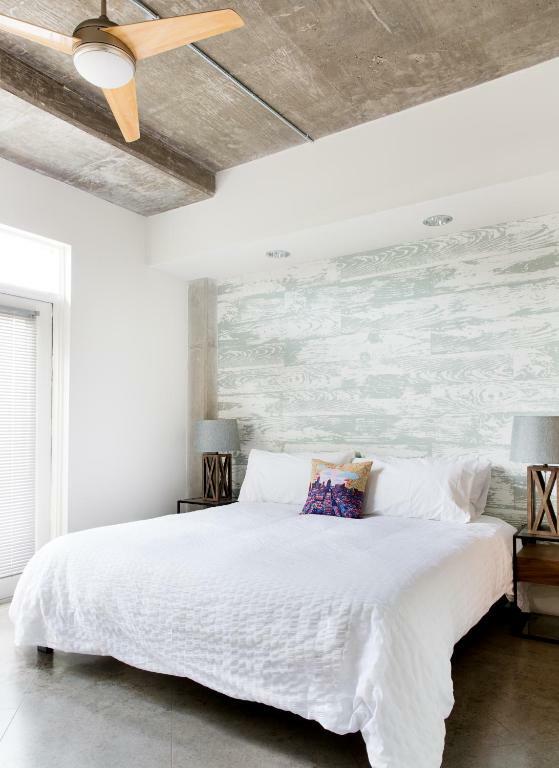 When you’re ready to venture out of the city, you’re a few minutes from Barton Springs & Zilker Park. House rules Guild Lavaca St takes special requests - add in the next step! Guild Lavaca St accepts these cards and reserves the right to temporarily hold an amount prior to arrival. Guests will receive a rental agreement through email. If no email is received, guests must contact the property prior to check in. The agreement must be returned within 24 hours. Guests will be required to provide a copy of their government-issued photo ID after booking. Please inform Guild Lavaca St in advance of your expected arrival time. You can use the Special Requests box when booking, or contact the property directly with the contact details provided in your confirmation. There was really great support from the host. Whenever we had a question, they handled it almost instantly. There was bed bug found in the property. It is very annoying as the bed bugs have even entered our suitcases and we found them while unpacking our stuffs. Helpful staff and great location. Accommodations were clean and inviting. Elevators were tricky upon arrival. Could have been cleaner. The couch had white crust on parts of it and the kitchen cabinets had finger prints all over. N O I S Y. Property is immediately above a busy bar, across the street from a busy parking lot, and just around the corner from a large building construction site. The neighbor next door likes their music very loud and lots of bass. Between all of this, it was extremely noisy for the entire stay. Glad they left earplugs and glad I brought noise-cancelling headphones. Check in was confusing, with access codes and such provided at the last minute. We had a resident help us go up the elevator, otherwise we would have not been able to get to the floor; the elevator and stairs are all locked down. We were to have our bags delivered to the room after dropping them off at a nearby property, with the staff confirming they'd kindly deliver the bags from there to the room. We get into the room and no we have to go get the bags and bring them to the rooms ourselves. Pool is pretty but unheated; was cold. The place was spartan but functional. Have to be careful using the electrical receptacles as they're cheaply made and require a lot of force to use; worried I'd break them. Door to bathroom is falling off its hinges, have to lift the door to close it. Good bed, kitchen nice, great location for downtown. Nice towels. we were not told when receiving Booking's confirmation that we had to send an "ID confirmation" (I missed a second mail they sent days later) so when we arrived for a previoulsly informed late check-in we realized there was no staff waiting for us, had to wait for a long time inside the parking and contact someone by phone and follow his instructions to complete that ID confirmation (first time ever and we travel a lot), take and send pictures of ourselves and only then we were given a code and could get into the room which, BTW, had no balcony. Although we made a reservation for three, the sofa bed was not ready but luckily we found the extra sheets. Had it not been for the problematic check-in, sofa bed issue and lack of information regarding the card for the parking, I would give it a better score. The customer service was prompt. The instructions to access the Guild were easy to follow. Convenient location. Very spacious, comfortable bed and nicely decorated. Very convenient to ACL. Unit is very sterile. Concert floor, concrete ceiling. It is not well lighted at all. Also a bulb was out over one of the sink making it very difficult to see. No pictures ..... just a rather cold atmosphere. Bed was great. The place was clean. - few touches and this could be a lot better. For about same price as an upper end hotel would prob stay at the hotel. However this was a one night stay. If I was staying several days would be more attractive with the full kitchen and nice living area and balconies. The website should really explain this is just an apartment in an apartment building. Very similar to an Airbnb. There are no amenities such as room service or even a counter. I loved that it was an apartment and the room was very nice.